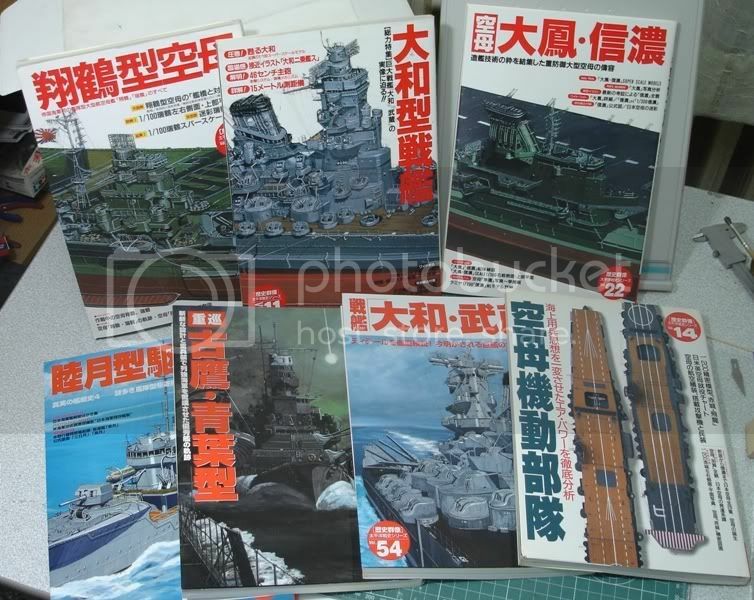 This thread is a means to share with fellow modelers what we’ve recently purchased. If you’ve bought a ship model, aftermarket accessories, reference material or tools, feel free to post it. As long as it’s ship/hobby related, it’s welcomed. The point of this thread is to allow members to see what’s new in the market, whether it be bought from a local hobby store or from on line shops. It also allows members to discover items that they might of missed out the first time around. This thread is not meant to take over the reviews, it is a simple one or two photo per item post with a brief description of the contents and where you purchased it. If you want to include the shipping costs and delivery times and any other relevant information, feel free to include them. This thread is open to all members, the more participation the better! As an example, I'll post up my latest batch of purchases. Picked up PitRoads DD Shirakumo. The last of the PE sets for my 350th Akagi, my set is now complete, and my wallet is officially empty! A great new title from Vanwell publishing on the Flower class Corvettes. A great reference title with detailed scaled drawings and colour profiles. ...and lastly a tool I've been looking from, a hand held PE bender from Tamiya. It ought to work well, except for the married guys. Here is my latest, yes, I know it isn't related to styrene, but it is 1/200 scale which equates to about 26 inches long. Great pick up Jay, where did you buy it and how much is it going to set me back?!? These are the last (3) additions I made, to my ever-growing library. Of special notice, the book "Kaigun". 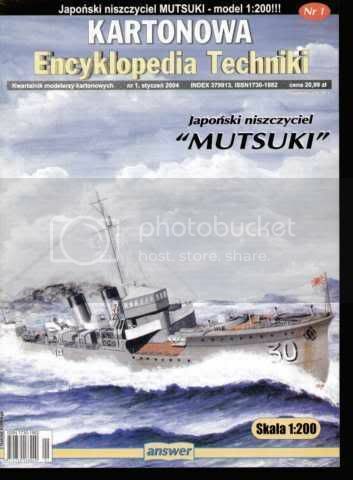 For those of you that do not know it, it tells the history of IJN´s strategy, tactics and technology since it´s genesis in the mid XIX century, up to its near end in 1944 (not 1945). One of the best books I´ve read over the last years. Although it´s a massive book, it´s very well written, and easily acessible to non-English speakers/readers. Highly recommended. 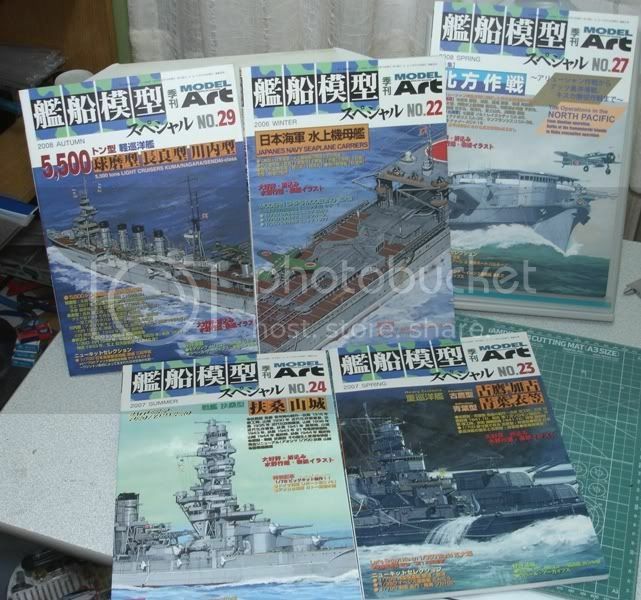 I gotta reuse my Fine Molds 1/700 25mm guns pic as I haven't cleaned up my review pics yet (or sent the review to Mark-- will do so in a couple days). EDIT: Got the review written and the photos cleaned up and sent to Mark, so better photos in the future. Dade i have just got those too myself (also 2 of each -triples twins and singles) ,plus the new tool fuzimi 1/700 Kongo.They are unbelievable.I mean you have to keep them against the light to actually see the detail , is that microscopic .One thing i hated when i was building IJN warships was that no matter how much you would detail the ship it would be ruined at the end by the old AA weapons .I could never get around building dozens of AA guns in etched as it seem a way to mundane task for my taste.I only wish-and i dont make wishes very often- that they continue with some other nationalities as well.How about some descent 40mm at last? Sorry i cant post any pics yet as i still havent figure it out how in this forum. 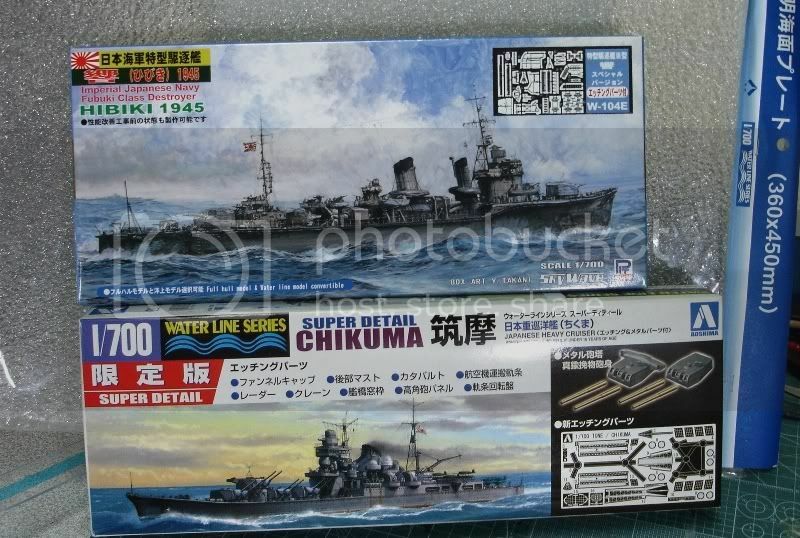 Yeah, I'm torturing myself as to whether or not get the new 1/700 Fujimi release at some point or not. A very tough choice. I like the way the PE guns turn out (crosshairs, etc) but I agree that they take a long time to do and you have to be "in the zone" (see my Hiryu build log). [quote]These are the last (3) additions I made, to my ever-growing library. Of special notice, the book "Kaigun". 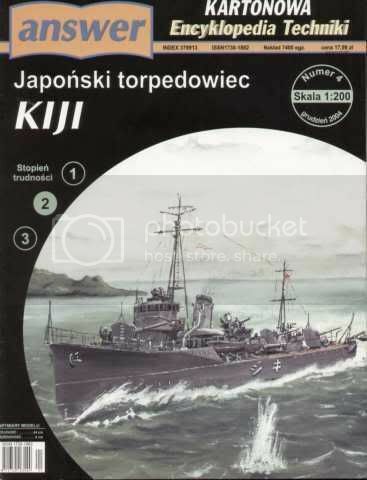 For those of you that do not know it, it tells the history of IJN´s strategy, tactics and technology since it´s genesis in the mid XIX century, up to its near end in 1944 (not 1945). One of the best books I´ve read over the last years. Although it´s a massive book, it´s very well written, and easily acessible to non-English speakers/readers. Highly recommended. 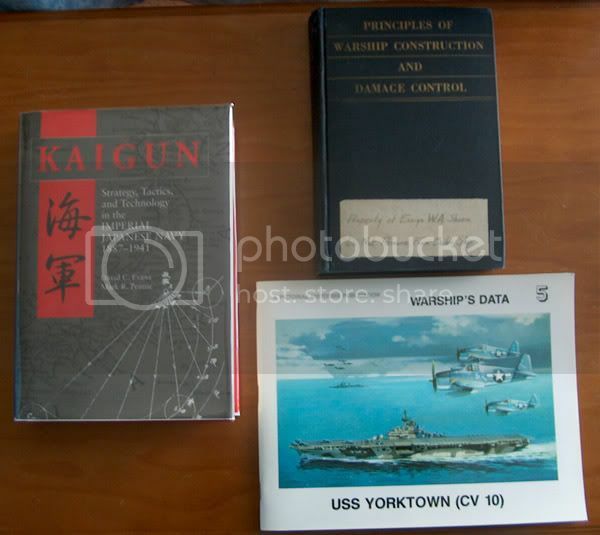 Kaigun is one of the finest reference books I've come across on Japanese naval doctrine, a must for all IJN fans. Comments on the pliers: great tool! Bought it from www.1999.co.jp and delivered in three days from Japan!! The text is all in portuguese and the price for this 193 page book is €12.50 (very cheap considering the info in it!). This book is part of a serie dedicated to documents and it describes the voyage of the rest of our first submarine flotilla from the FIAT shipyards in La Spezia to Lisbon, of the three submersibles escorted by the Portuguese Navy Rescue Steam Ship "NRP Patrão Lopes", from December 15, 1917 to February 10, 1918. This would be a relatively easy task, if it wasn't the fact that we were in the WWI and Portugal was involved in the conflict. Again all the text is in portuguese, with 384 pages, some of them scans of logs (as mentioned above) and charts, the price is €15.00 (again, a good bargain!). Ooh, interesting stuff all around guys. 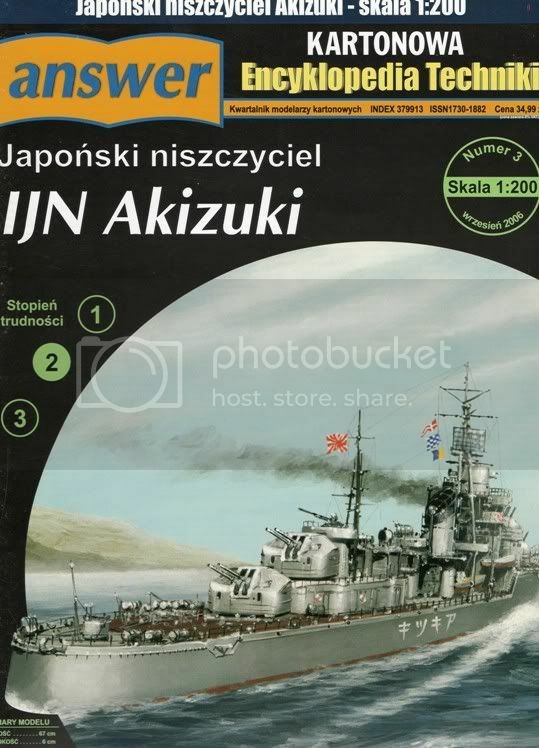 Frank, I picked up my Akizuki from the Paper Models Store Website for the princely sum of $11.99. So far I have the inner hull together, the bottom plates, props and rudder on as well as the decks, that is how I know how big it is going to be. The service is most excellent, he had it to me in less than a week coming all the way from Chicago. I have already placed a second order for the Kiji and Mutsuki from the same model company, answer. When I got them, the owner had tossed in a Star Trek the Next Generation Enterprise kit as a bonus. While the Enterprised kit is actually designed with the younger set in mind, I can see it will be useful the next time one of my lady friends decides that I need to do some babysitting. While the rugrat works on the Enterprise, I can be happily slicing and dicing my way through my own paper models. I've recently got the Dragon 1/700 USS Ohio vs Alpha. I need the Ohio for my ships of Louisiana build. I also purchased the Tamiya sprue cutters. Man, they cut super close! Nice looking stuff everyone. I have a whole boat load on order, just waiting for the slow boat to dock. I got the MissionModels micro-chisel... love it! 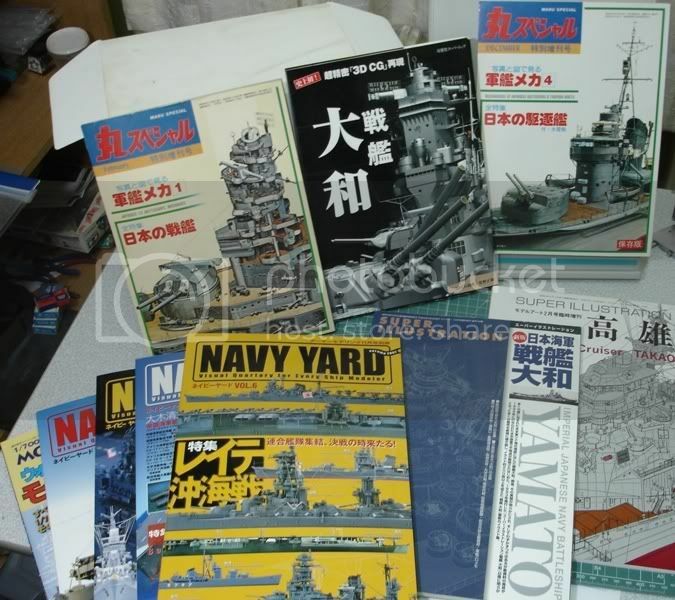 Also won in ebay a lot of "SeaClassics" magazine... actually pretty good mag, many pics and info perfect as a reference. Got them for 1$ USD each, cant beat the price! That's a nice haul there, Serhan! With the exception of a couple of those books, they're all in my library too. Of course, I didn't buy them all at once... wow! Actually I am bit lucky becasue my wife likes to read LOTR, Dragon Lance.. etc kind of stories. And we had a deal. When I buy something she is buying some books, when she buy something, I am buying some so everyone is happy by the way. Serhan, your wife and my fiancee would get along very well. My fiancee is an author and writes fantasy books- she has signed a two book deal and her first book will be released in late 2009/ mid 2010. She's my partner in my models as she can open the paint bottles, etc., that I can't because of my arthritic fingers. She also reads to me while I build- I get to hear a live reading of her books before they're published, and many other books too. Best of all, she understands what I like in models, etc., and knows what to get for me as gifts. She'll even pose with the models. Okay, enough about me. Sorry to highjack the thread. I'll be quiet now! My first package arrived today. 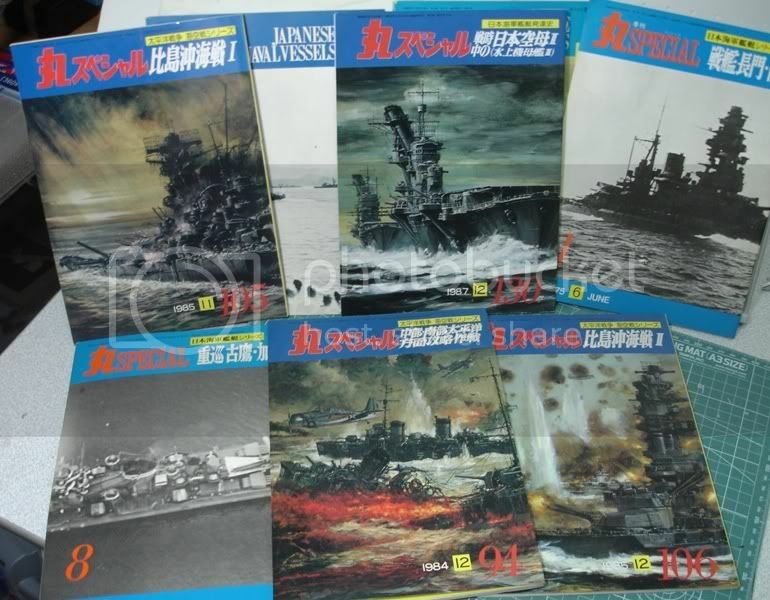 Four packs of 1/700 IJN goodies. I plan to do reviews on the 12.7mm AA guns and the 25mm AA guns. So, one package down, a couple more to go. Great idea for a thread Frank! Be very thankful your spouses have inexpensive hobbies,.... my wife loves birds and has always wanted to photograph them, so right after we drove to Toronto and bought the 350th Akagi and accompanying PE sets, we drove to Henry's Camera store and bought her the lense she's been craving... 300mm f4 and 1.7TC (teleconverter).... talk about appeasement! ...In her defense, not once in our 14+ years together has she ever once complained/commented about the multitude of models coming into the house, she's an accountant, and is keenly aware of the worth of the plastic/resin/PE stash monopolizing and collecting dust in our basement. Is there an English access/option for the Japanese site you used? ( www.1999.co.jp ) I browsed the site but got hopelessly lost in it! I've been disappointed by the amount of time it is taking for HLJ to deliver orders as of late, my latest package has now been in transit for over three weeks. Great service, great customer care (if you have questions). Yes I know the feeling about HLJ... Unless you choose EMS, it takes forever for the package to arrive! And EMS turns the shipping "heavier"! Hope this helps, and sorry for the url, perhaps I should have write this at the first place. EDIT: Whoops, Rui posted his answer while i was writing the URL in mine. Be aware that their shipping isn't too far off from HLJ and HWJ in terms of time. It's what you want to pay for that will determine your speed of arrival. I've had stuff come from HLJ in a few days, but it was sent under EMS. When you're dealing with SAL, that's a whole other story (I've had some stuff take weeks, others months). Case in point, I had two packages go out from HW Japan on the same day, SAL. One of them arrived almost a week ago. The other? No sign of it... So it's more to do with the postal system than the store itself- sometimes one is faster than the other, then vice versa. Add in the fact that you're in Canada, which also seems to be a hassle for SAL (and even some US postal), and it becomes more of a crap shoot. BTW, that's an awesome lens your wife got. Wow! PS: I forgot to mention that 1999 will ONLY ship EMS and won't tell you the cost of your shipping until after it has been sent (I completely forgot that they don't use SAL, as it's been a while). So, unless it's something you just gotta have and don't mind paying the extra cost of EMS and not knowing what that shipping cost is gonna be beforehand, take care.